BCM4360 supports PCIe interface and implements 3-stream 802.11ac specifications, and reaches speeds up to 1.3 Gbps. BCM4352 supports PCIe interface; implement 2-stream 802.11ac specification to reach up to 867 Mbps. BCM43526 supports USB interface; implement 2-stream 802.11ac specification to reach up to 867 Mbps. BCM43516 supports USB and reaches speeds of up to 433 Mbps with its single stream 802.11ac implementation. 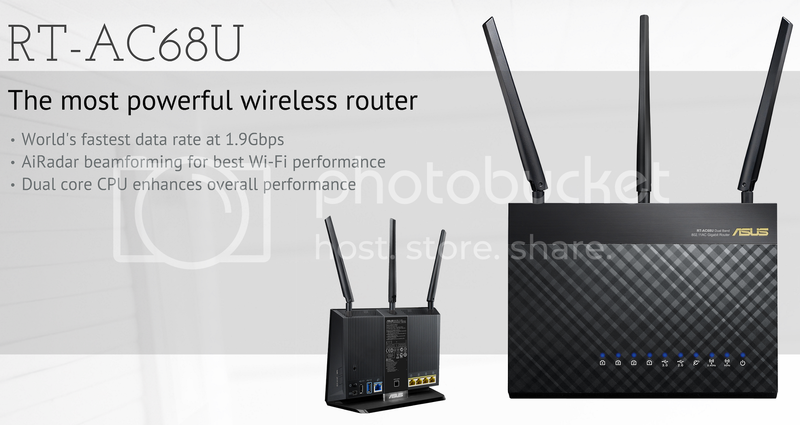 Asus new routers for wireless network 802.11ac up to 1.3 Gbps. 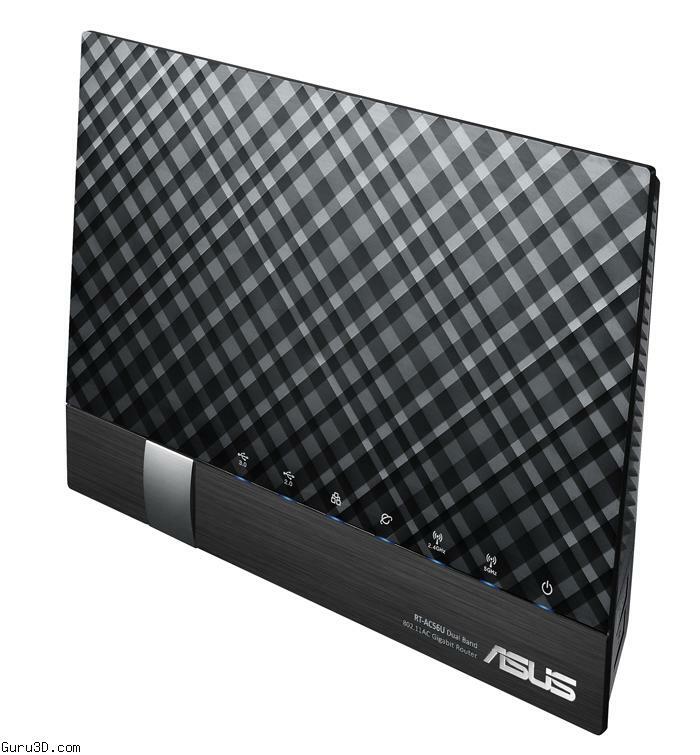 Faster wireless networks comes when Asus updates the range routers. 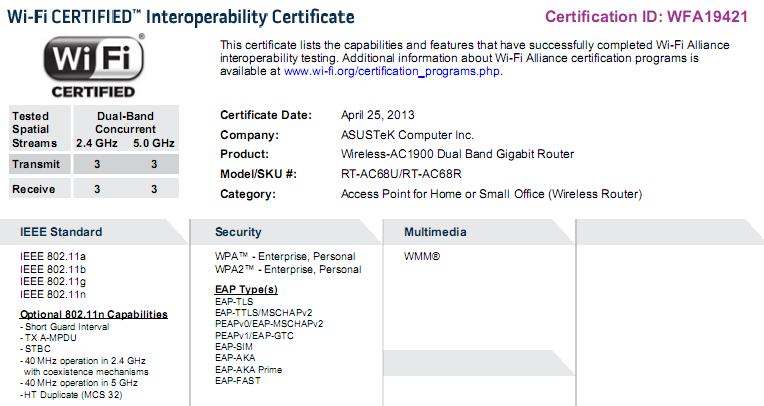 There are three new models of 802.11n and 802.11ac. 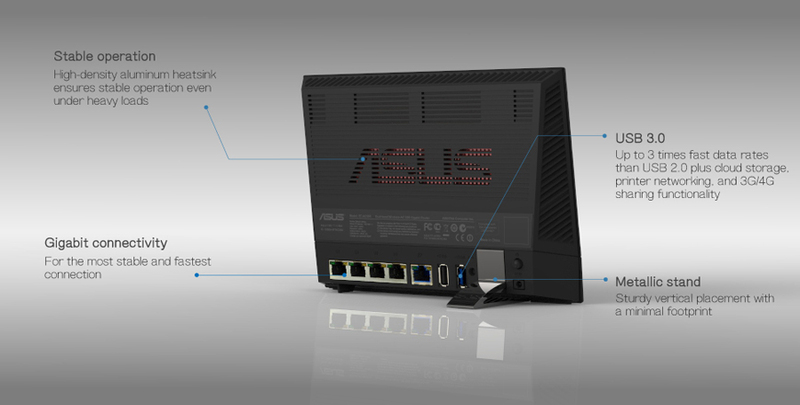 1: Asus RT-AC67U and delivers support for 802.11n 450 Mbps and 802.11ac for up to 1.3 Gbps. 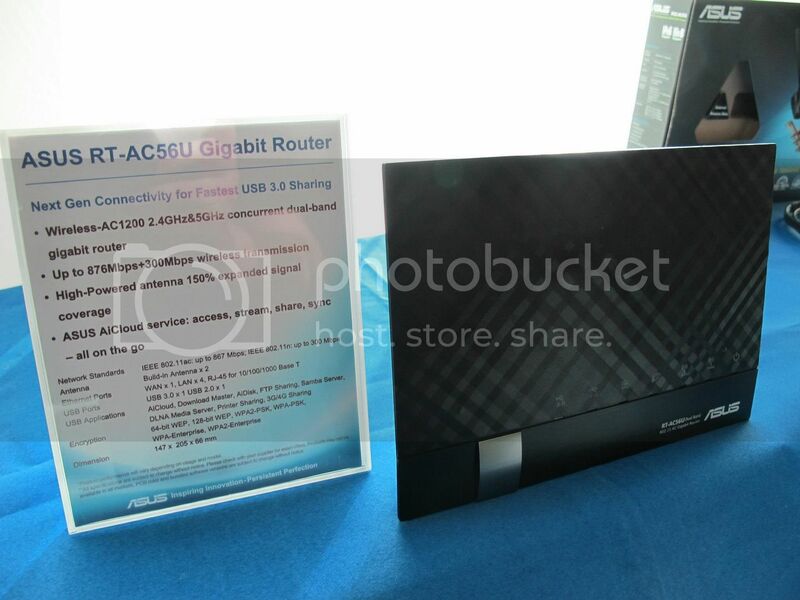 2: Asus RT-AC56U with 300 Mbps 802.11n and 802.11ac up to 900 Mbps. 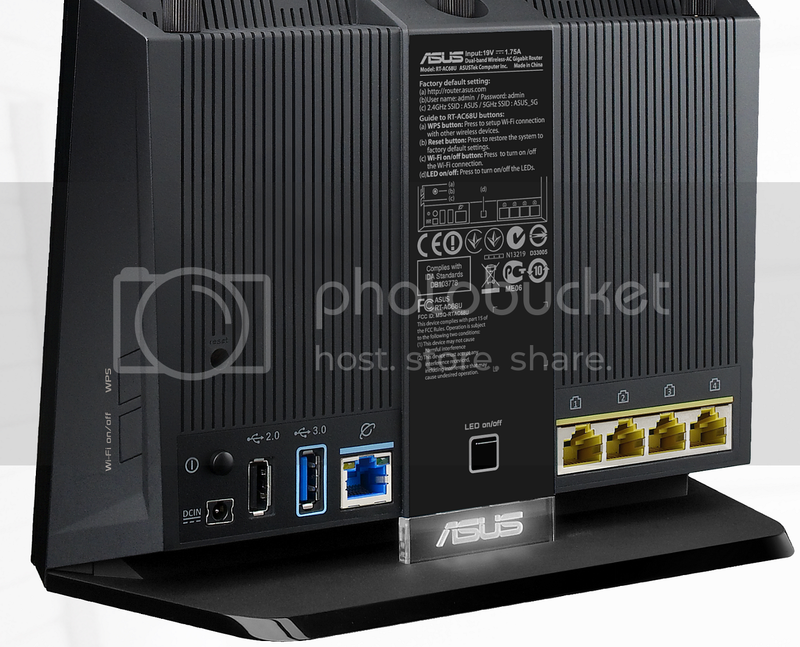 3: Asus RT-AC50U for 300 and 450 Mbps. and supports the Asus cloud service, AI Cloud. Coming in July or September. 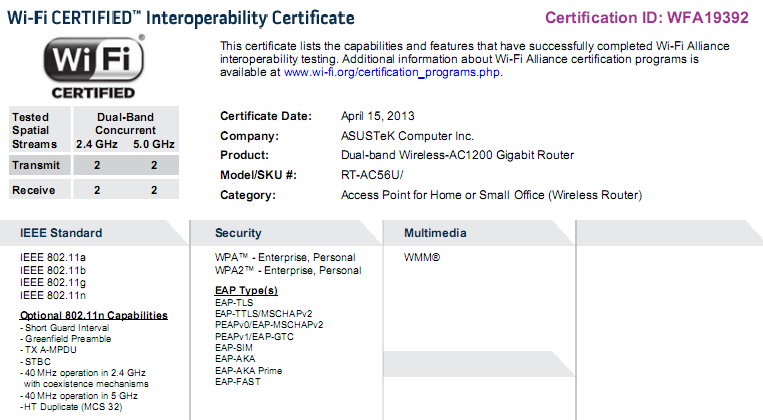 In terms of speed, the RT-AC56U has two bands (2.4GHz/5GHz) that concurrently top at 1167Mbit/s. While not the fastest in the ASUS networking arsenal, this is more than enough to cover you even if you’re on a rare true Gigabit connection. Inside we find a fifth generation Broadcom chipset that is at the heart of 802.11ac optimisation. You can see quite clearly that the RT-AC56U has both USB 3.0 and USB 2.0, so connect away: printers, external storage, even 3G/4G adapters. This is more than a router, it can easily become a server to share resources, something ASUS networking products are very keen on doing. The Broadcom BCM4707/4708/4709 processor is a communications device targeted for applications in switching control and management, and residential router/gateway. The BCM4707/4708/4709 family includes the BCM4707, BCM4708, and BCM4709. While not the fastest in the ASUS networking arsenal, this is more than enough to cover you even if you’re on a rare true Gigabit connection. Inside we find a fifth generation Broadcom chipset that is at the heart of 802.11ac optimisation. You can see quite clearly that the RT-AC56U has both USB 3.0 and USB 2.0, so connect away: printers, external storage, even 3G/4G adapters. This is more than a router, it can easily become a server to share resources, something ASUS networking products are very keen on doing. What can you expect out of an ARM A9 dual-core CPU? The iperf and OpenVPN servers were on the router, and clients were a Win7 laptop connected to the WAN port. That's right. OpenSSL raw performance is nearly 3x faster on the RT-AC56U. BCM4708 powered routers I've just reviewed (Linksys EA6300, D-Link DIR-868L, NETGEAR R6250). 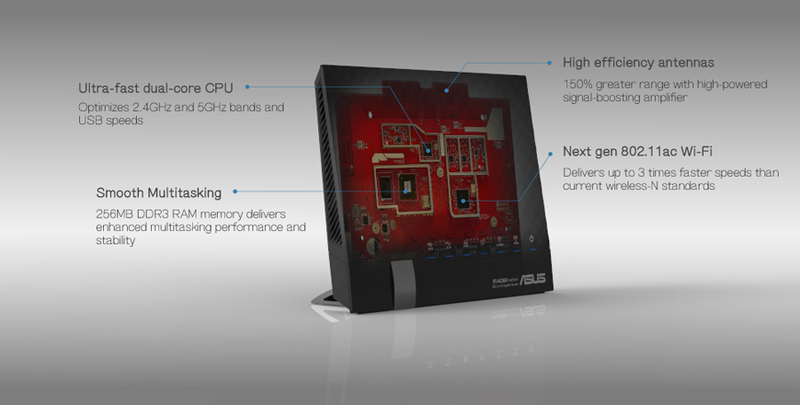 Asus íàêîíåö-òî âûêàòèë RT-AC56U — òîò, ÷òî íà äâóõÿäåðíîì ARM'å. Â òå÷åíèå äâóõ íåäåëü æåëåçÿêîé áóäóò ñíàáæåíû ðàçëè÷íûå îáîçðåâàòåëè, ïîñëå ÷åãî æåëåçÿêà ïîåäåò â ìàãàçèíû. Ïðèìåðíî ÷åðåç äâå íåäåëè äîáàâëþ â íàøó òàáëè÷êó ëåæàùèå ó ìåíÿ ðåçóëüòàòû áåí÷ìàðêà CPU. Ðåçóëüòàòû íå âïå÷àòëÿþùèå, âèäèìî, áåí÷ìàðê íå ãîäèòñÿ äëÿ ìíîãîÿäåðíûõ êàìåíé. Â íîâîì ðîóòåðå òóë÷åéí ïîíîâåå: target arm-brcm-linux-uclibcgnueabi, linux 2.6.36, GCC 4.5.3. Ext4, ê ïðèìåðó, ä.á. «èç êîðîáêè». Çàâîäñêàÿ ÷àñòîòà 800MHz, íî íà 1GHz âñ¸ ðàáîòàåò íîðìàëüíî. Last edited by ryzhov_al; 04-06-2013 at 07:35. Óäàñòñÿ ëè ïîðòèðîâàòü íîâûé òóë÷åéí ïîä RT-N66U?